Thread: Show off your Smiths! Re: Show off your Smiths! and an automatic Smiths, hopefully the photos work. Fabulous. And that early Smiths is *really* early. I'm thinking this must be a 1940s model. Shall look it up in me book. Last edited by Ric Capucho; April 18th, 2014 at 08:17. Ok, the good book shows it in a 1947 advert. Hi all , a quick question for the experts among you (Ric + Kath) a friend of mine just give this to me , to have a play with and i thought you would perhaps know if its possible to repair or it's only good for spares. 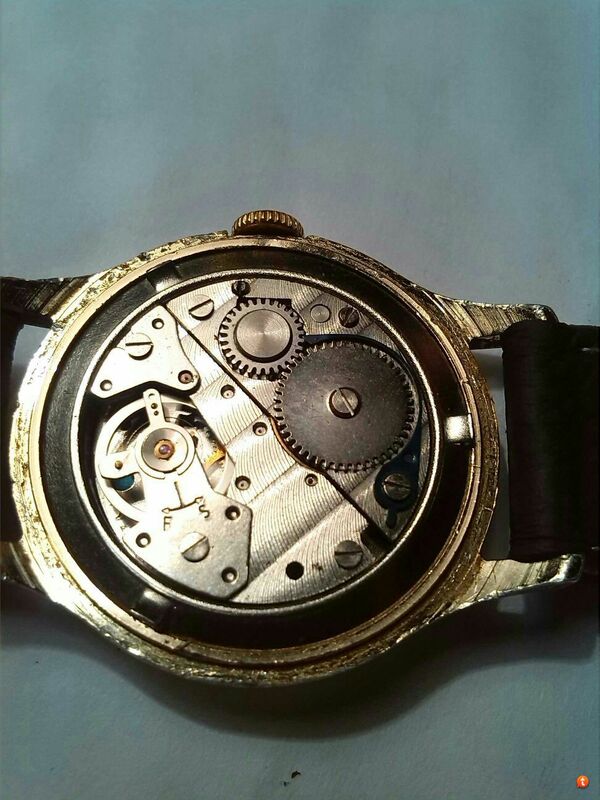 So far i have worked out it's a W10 of 69 vintage i think , the crown is missing (you don't say) and in the pic of the movement i think there is a spring showing (marked with a yellow arrow) .With a gentle shake the second hand will move for 5-6 secs . The lume is missing on the minute hand. I would be grateful for any advise you can give. DW. Those W10s are incredibly value if you can get it working! Thanks for that Der Amf. Also after a little bit of research it seems the bit I highlighted with a yellow arrow should be like that. DW. Last edited by DJW GB; April 23rd, 2014 at 11:32. "incredibly value" - I have PhD funding on the way and I still struggle with words. Dearie me.